Is it just us or is the Best Animated Features race shaping up to be one of the more exciting categories of the award season once again? 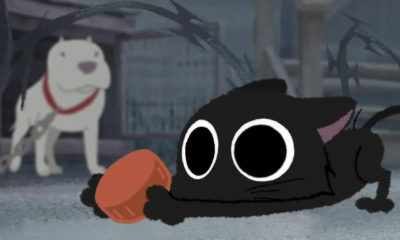 With the possibility of five nomination spots opening up to the top contenders (which is triggered when more than 16 titles qualify in this Oscar category), toon watchers will have more options to root for their favorite big studio releases and smaller indie dark horses. So who will win the hearts and minds of the animation branch this year—a certain courageous Scottish princess, Santa and his team of childhood avengers, the blood-sucking denizens of a Romanian hotel, an 8-bit bad guy with a heart of gold, a ’60s-era Japanese high school girl, or a brave little boy with a talent to see the dead? 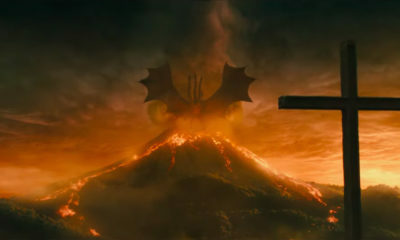 Take a look at our list of contenders to find out which movies have the odds in their favor. Synopsis: The CG animated update of Theodor Geisel’s environmentally minded children’s classic stars Zac Efron as a young boy named Ted bent on saving the disappearing Trufula Trees, Taylor Swift as the girl of his dreams, Danny DeVito as the gruff yet cuddly Lorax, Ed Helms as the mysterious Once-ler, Rob Riggle as the mayor and Betty White as Ted’s grandma. 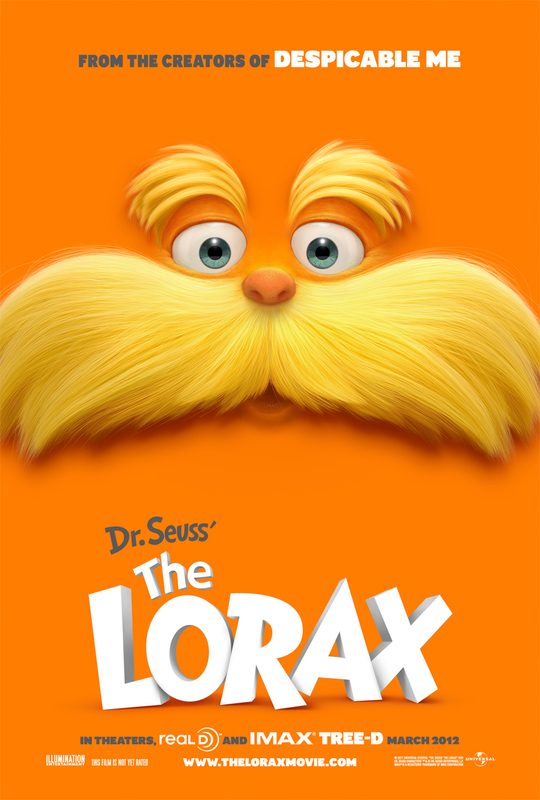 The Buzz: It’s always a challenge to adapt a well loved picture book as a feature effort; despite the artistic wizardry of French studio Mac Guff and the box office response, critics seemed underwhelmed by the updated Lorax. Synopsis: This mad-cap seafaring adventure stars Hugh Grant as Pirate Captain, who in the course of vying for the Pirate of the Year contest gets tangled up with the likes of Queen Victoria (Imelda Staunton), Charles Darwin (David Tennant) and other characters. 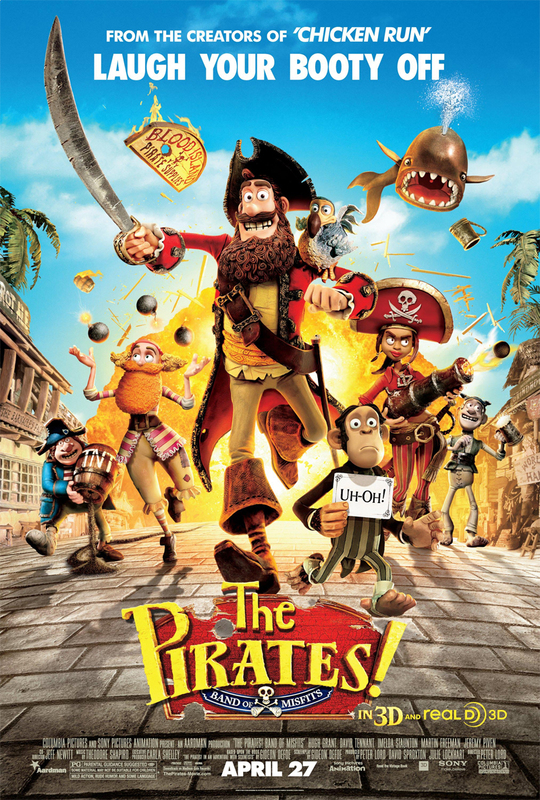 The excellent cast also includes Martin Freeman, Jeremy Piven, Salma Hayek, Brian Blessed, Brendan Gleeson and even Al Roker as the Pirate Who Likes Sunsets and Kittens. 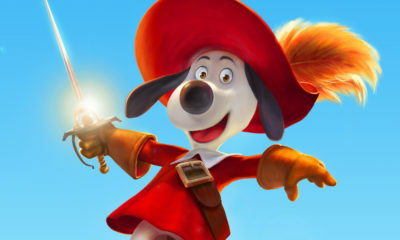 The Buzz: Co-directed by Jeff Newitt and based on the popular books by Gideon Defoe, Pirates was a tour de force of richly detailed stop-motion animation and Brit humor—but after the mania over Oscar winner Curse of the Were-Rabbit, Aardman might have trouble filling its own sizeable shoes. 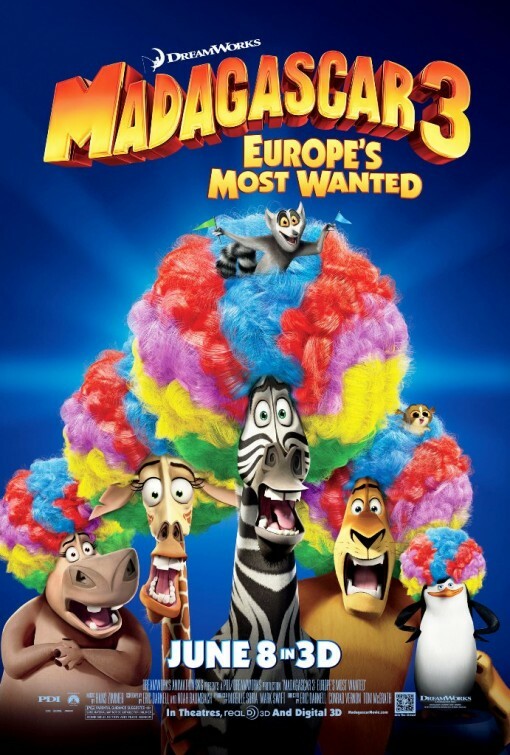 Synopsis: In the zoosters’ latest escapade, a faulty getaway with the "help" of the penguins finds the critters joining up with a European traveling circus, all the while evading capture by Monaco’s most dogged Animal Control Officer, Chantal DuBois (Frances McDormand). Franchise cast including Ben Stiller, Chris Rock, David Schwimmer, Jada Pinkett Smith and Sacha Baron Cohen return along with newcomers Bryan Cranston, Jessica Chastain and Martin Short as their circus pals. 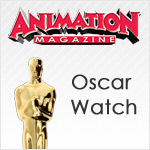 The Buzz: While the third outing performed very well at the box-office and entertained family audiences, so far none of the franchise’s films have made the final Oscar cut—then again, the popular zoo pals may be overdue in the Academy’s eyes. 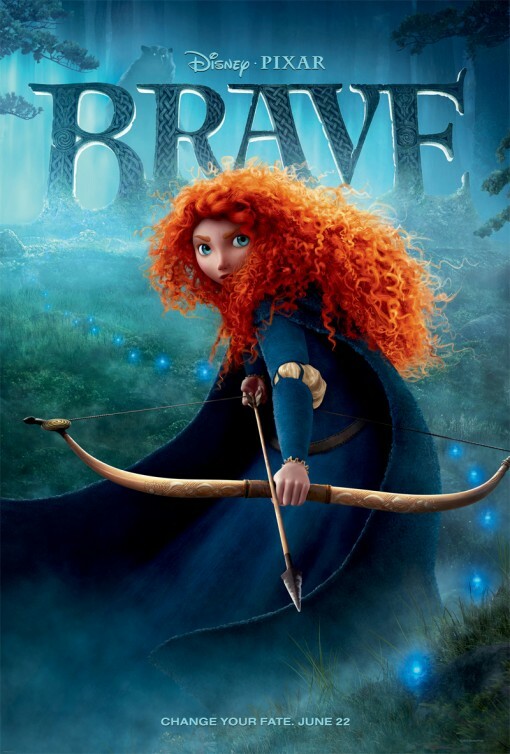 Synopsis: As princess of an ancient Scottish kingdom, Merida (Kelly Macdonald) struggles against the expectations of her parents and her plans for her life. When she takes her destiny into her own hands, it threatens the safety of the kingdom as well as those she loves most. 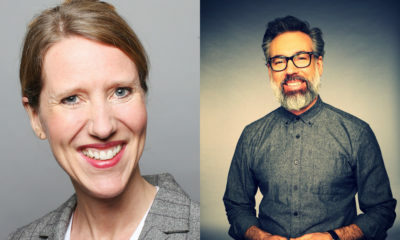 The pedigreed cast also includes Billy Connolly and Emma Thompson as the king and queen, Julie Walters, Robbie Coltrane, Kevin McKidd and Craig Ferguson. The Buzz: Pixar’s first fairytale sought to break the mold with its strong-willed female protagonist as well as forge new ground in stunningly detailed CG animation; despite accomplishing this, some critics felt Brave lacked the originality of prior Pixar films. 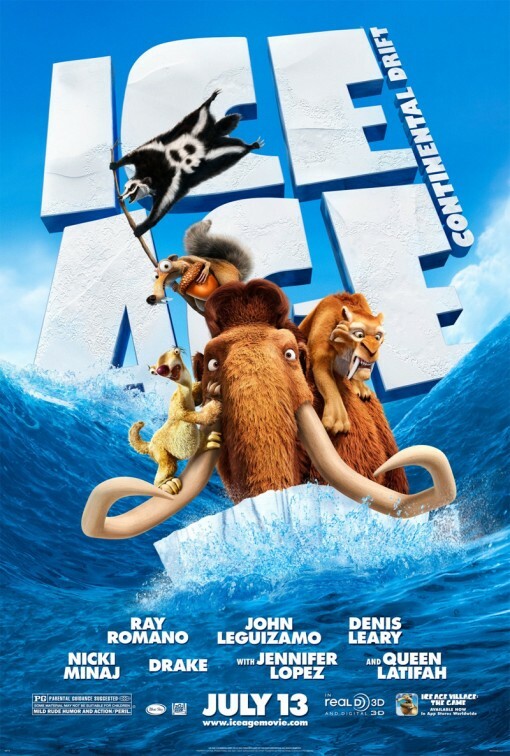 Synopsis: The fourth installment of the Ice Age saga sees the herd separated by shifting continents, pestered by pirates and desperately trying to reunite families amid the chaos and finding a new home (and a new girlfriend for Diego). Key cast Ray Romano, John Leguizamo, Denis Leary, Queen Latifah, Chris Wedge and Keke Palmer are joined by Jennifer Lopez, Peter Dinklage, Wanda Sykes, Drake, Aziz Ansari, Nicki Minaj and more to round out the cool ensemble. 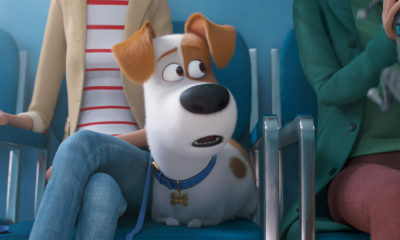 The Buzz: Despite being the highest-grossing toon of the year (so far) and cracking up audiences, the 3-D CG sequel effort seemed to critics to recycle too much from the previous films; it’s unclear whether the franchise is overdue for a nod or if the first film’s nomination was its best shot. Synopsis: Norman is an outcast kid shunned by his schoolmates for his strange ability to talk to ghosts. But when an ancient curse unleashes a horde of zombies on his small town of Blithe Hollow, it’s up to him to set things right. Kodi Smitt-McPhee stars with Tucker Albrizzi, Anna Kendrick, Casey Affleck, Christopher Mintz-Plasse, Elaine Stritch, Leslie Mann, Jeff Garlin, Bernard Hill and John Goodman. 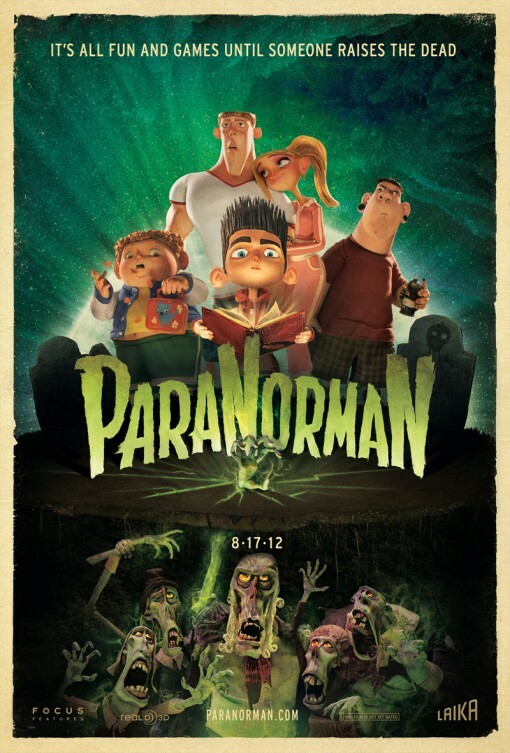 The Buzz: LAIKA’s second feature effort, ParaNorman‘s original story (penned by Butler) and lovingly hand-crafted stop-motion impressed the critics … except certain conservative outlets who found fault with a reference to a character’s homosexuality in a kid flick—but we like to think (hope?) the Academy is less stuffy. Synopsis: Dracula (Adam Sandler) runs a luxury resort for classic monsters (werewolves, mummies, zombies and the like) and is busy preparing for his daughter Mavis’ (Selena Gomez) 118th birthday. 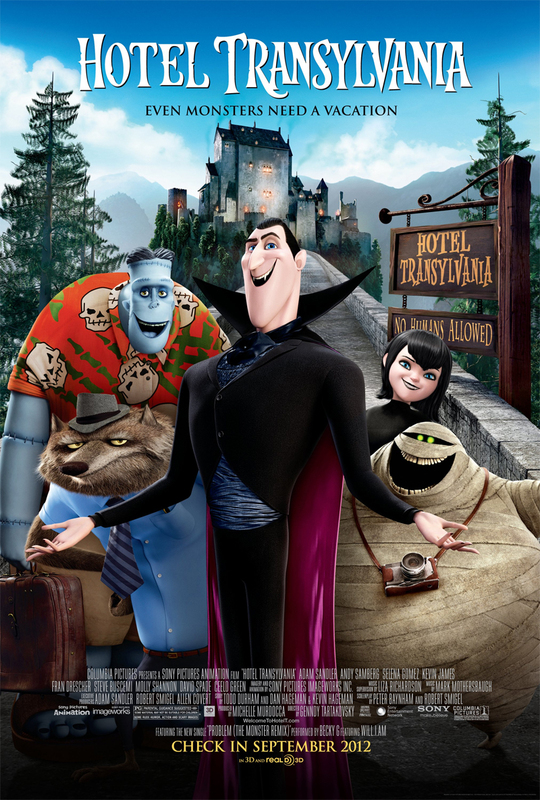 As the gruesome guests are set to arrive, a normal human named Jonathan (Andy Samberg) stumbles onto the hotel and takes a shine to Mavis, much to Drac’s chagrin. The comedic cast is filled out by Kevin James, Cee Lo Green, Steve Buscemi, Molly Shannon, David Spade, Fran Drescher and Jon Lovitz. 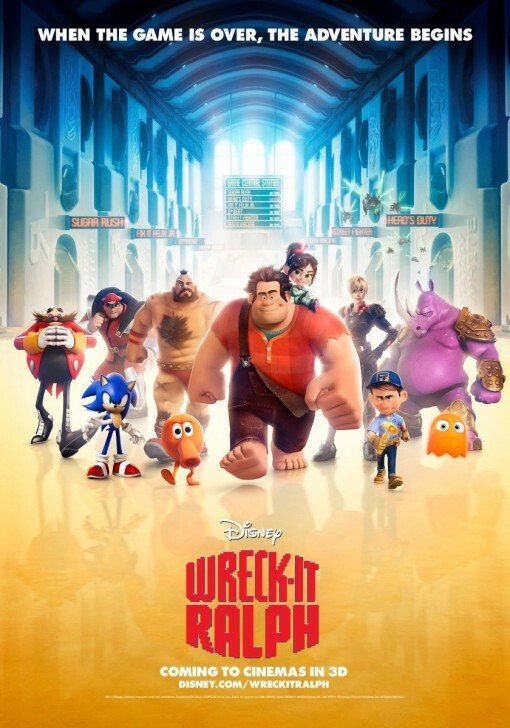 The Buzz: Toon fans were keen to check out Tartakovsky’s first feature effort and enjoyed the colorful, cartoony vibe of this kids’ comedy; but the long and tumultuous production may have added to critics’ sense that the plot seemed a bit too familiar. 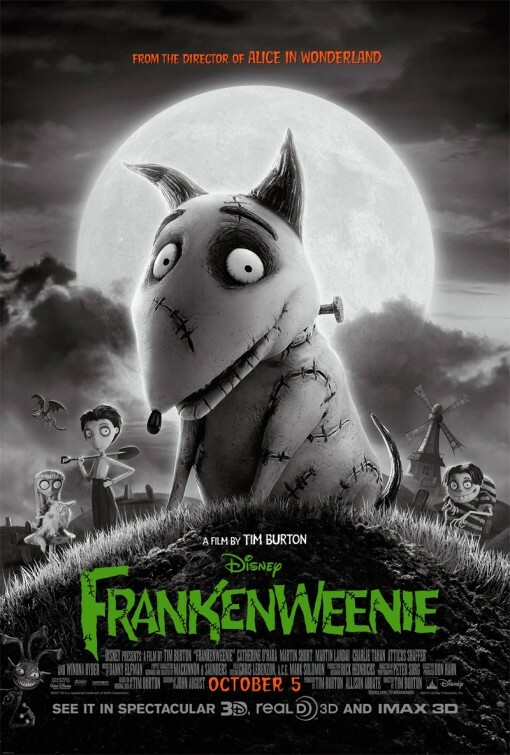 Synopsis: When young Victor is inspired to reanimate the body of his beloved dog, Sparky, his classmates follow suit and unleash a chaotic plague of strange creatures on the town of New Holland. Based on Burton’s 1984 live-action short, the film features the voices of Charlie Tahan, Catherina O’Hara, Martin Short, Martin Landau, Winona Ryder, Atticus Shaffer, Christopher Lee, Robert Capron, Conchata Ferrell, James Hiroyuki Liao and Tom Kenny. The Buzz: With a disappointing opening weekend B.O. 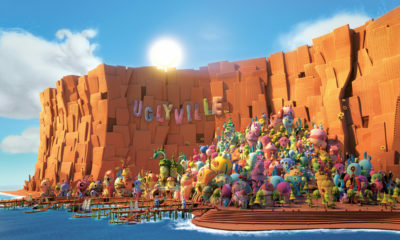 (lagging behind Hotel Transylvania, which was in its second week), Disney’s gamble on Burton’s quirky éclat seemed wobbly; critics however praised the artistry of the black-and-white stop-motion film as well as its oddball story—hey, how much did Spirited Away make on its U.S. debut? Synopsis: John C. Reilly stars as a disgruntled 8-bit game villain who sets out on a journey across the various videogames in his arcade to prove that he has what it takes to be a hero. 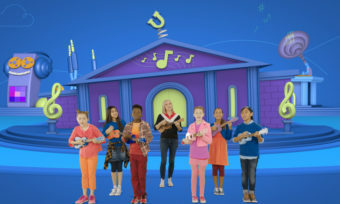 The 3-D CG flick also stars Sarah Silverman as Vanellope, a glitchy but cute racing game character; Jack McBrayer as the hero of Ralph’s game Fix-It Felix, Jr.; and Jane Lynch as Sgt. Calhoun, star of an FPS game. 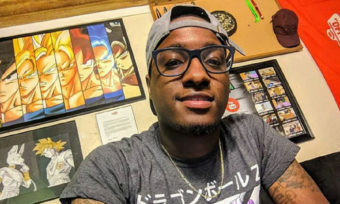 The Buzz: Disneyphiles and gamers alike are psyched to check out Ralph, which will feature cameos from popular game characters; first glimpses reveal a sweeping variety of characters and worlds expertly animated——but only time will tell if this departure from the Disney canon will please the Academy. 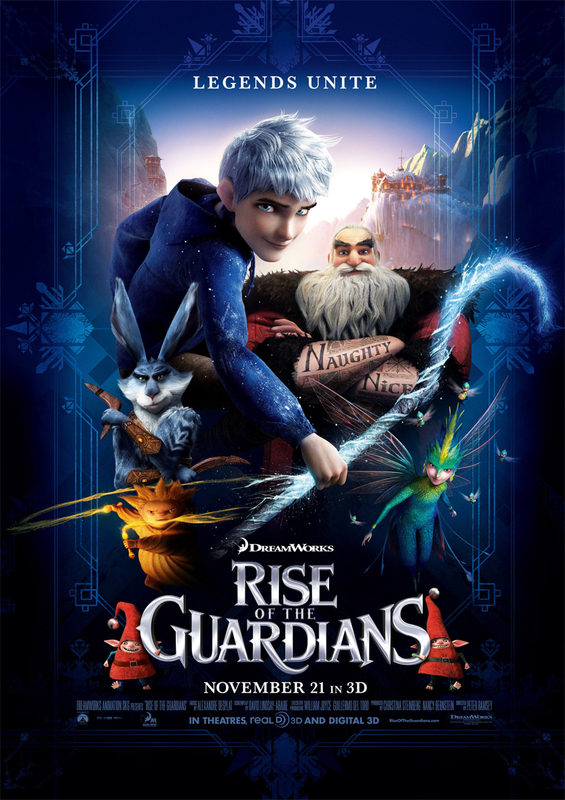 Synopsis: This colorful, action-packed adaptation of William Joyce’s popular book stars Chris Pine as Jack Frost, who joines up with North (Santa Claus, Alec Baldwin), Bunnymund (Easter Bunny, Hugh Jackman), Tooth (Tooth Fairy, Isla Fisher) and Sandy (Sandman) to restore the faith of children around the world and defeat the wicked Pitch (Jude Law). 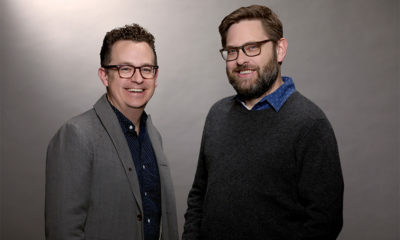 The Buzz: William Joyce picked up an Oscar for co-directing the short The Fantastic Flying Books of Mr. Morris Lessmore this year, so it will be fun to see how DreamWorks Animation fares with this imaginative take on the characters he created. 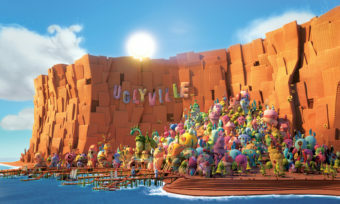 The visually stunning movie has already received an early nod from the Hollywood Film Festival as Best Animated Feature of 2012, so chances are the movie will do much better than previous Joyce adaptations Meet the Robinsons (Disney) and Robots (Fox/Blue Sky). Synopsis: Set in the world of a 1930s artist’s atelier, three races of painted beings—the completed Alldunns, partially done Halfies and roughly rendered Sketchies—battle each other for supremacy. Ramo an Alldunn and Claire, the Halfie he loves, join up with inquisitive Lola on a quest to find the artist and discover why he created these contentious races. The Buzz: Critics responded favorably to this inventive, beautifully crafted tale from Laguionie and co-scripter Anik Le Ray (Eleanor’s Secret) on both sides of the pond—it’s a blessing and a potential curse for Painting that 2012 has been such a strong year for foreign animated features. 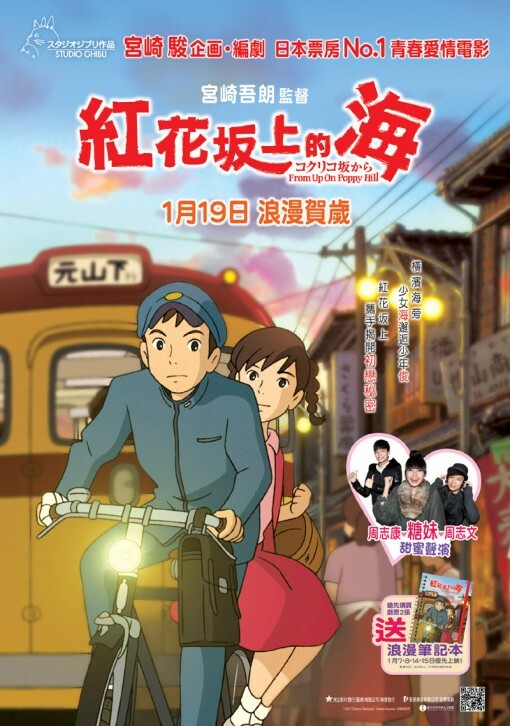 Synopsis: Set in 1960s Yokohama, the film follows two high school students who undertake to restore an historic building and save it from demolition, all the while unraveling the mystery of their own connected past. 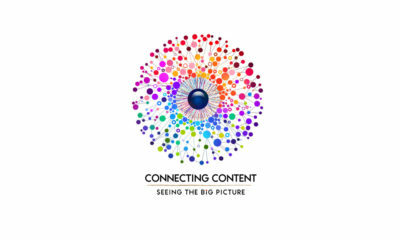 GKIDS has tapped Gillian Anderson, Jamie Lee Curtis, Bruce Dern, Christina Hendricks, Ron Howard, Chris Noth, Aubrey Plaza, Anton Yelchin, Beau Bridges, Sarah Bolger, Jeff Dunham, Isabelle Fuhrman, Emily Osment, Charles Saxton and Alex Wolff as the English language voice cast. 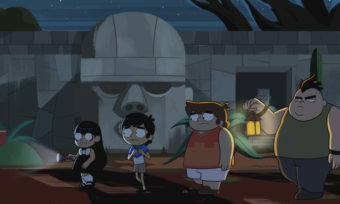 The Buzz: With the pro revamp team of director Gary Rydstrom, writer Karey Kirkpatrick and exec producer Frank Marshall and Kathleen Kennedy (all of Arrietty fame) on the case, audiences can expect a fluid translation of this heartfelt teen adventure—but though the Academy loves Ghibli, Goro’s (son of Hayao Miyazaki) last feature effort was a B.O. and critical disappointment. Synopsis: This expansive film takes viewers on a journey from Sudan to Paris as 10-year-old Maki pursues his beloved pet giraffe Zarafa, who is en route to France as a gift to Charles X from the Pasha of Egypt. Through Alexandria, Marseille and the snow Alps the duo encounter many adventures and odd characters in this charming story of true friendship. 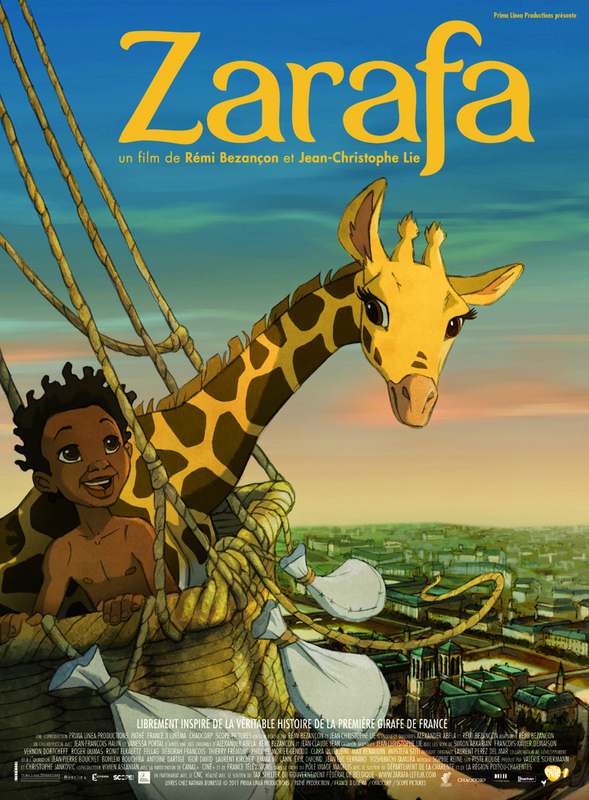 The Buzz: Zarafa has won over festival audiences around the word with its impeccably French 2D artistry and sweet sentimentality—although some have raised their hackles over inaccuracies about the fate of the legendary giraffe; it’ll be up to Academy members to decide whether the art of fiction wins out over the complexities of history when GKIDS launches its qualifying run. 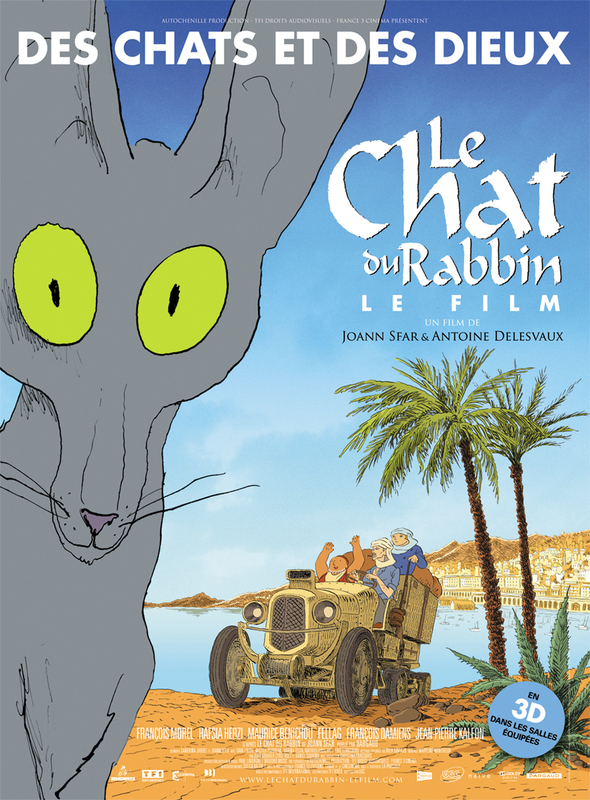 Synopsis: Based on Sfar’s award-winning comic series, the film centers on a cat living in 1920s Algeria who gains the ability to speak after swallowing a parrot and expresses his desire to convert to Judaism to his Rabbi owner. 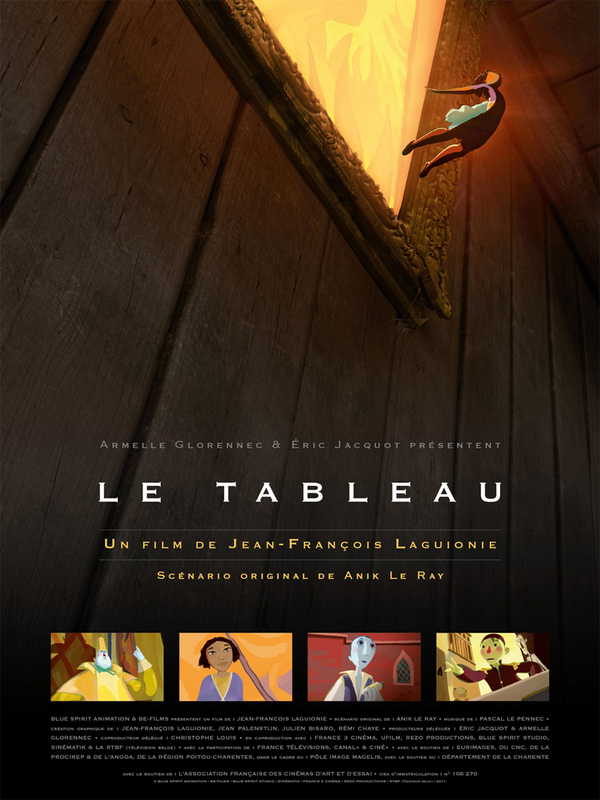 The Buzz: While critics have been universally won over by the colorful 2D animation, some were less enchanted by the storytelling in the film translation—but after nabbing the top Annecy Cristal, it’s still a strong contender for Oscar nomination. Synopsis: Based on Chapman’s fictitious 1980 autobiography, the film is a mélange of real and completely untrue events from the Brit comedian’s life. 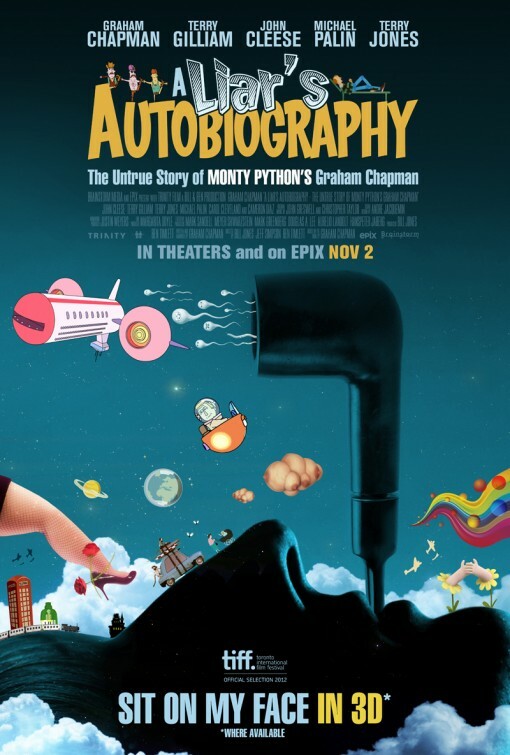 Former Python cohorts John Cleese, Michael Palin, Terry Jones and Terry Gilliam provide voices, adding to recordings of Chapman reading from the book made shortly before his death in 1989. 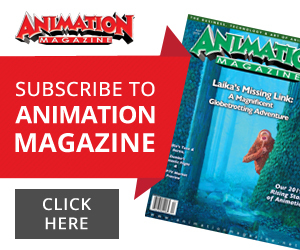 The Buzz: Python fans are eager to see how this independent project will turn out, and animation aficionados are piqued by the format which will combine animated “chapters” crafted by over a dozen studios—but has “Project Chapman 3D” generated enough buzz to lure in Academy voters at the end of the year? Synopsis: The fourth film in Disney’s popular Tinkerbell home movie franchise sees Tink (Mae Whitman) venture into the forbidden world of the Winter Woods and discovering a mysterious secret about fairies’ wings. Lucy Hale, Lucy Liu, Angela Bartys, Raven-Symone, Megan Hilty, Pamela Adlon, Anjelica Huston, Timothy Dalton and Grey DeLisle star. 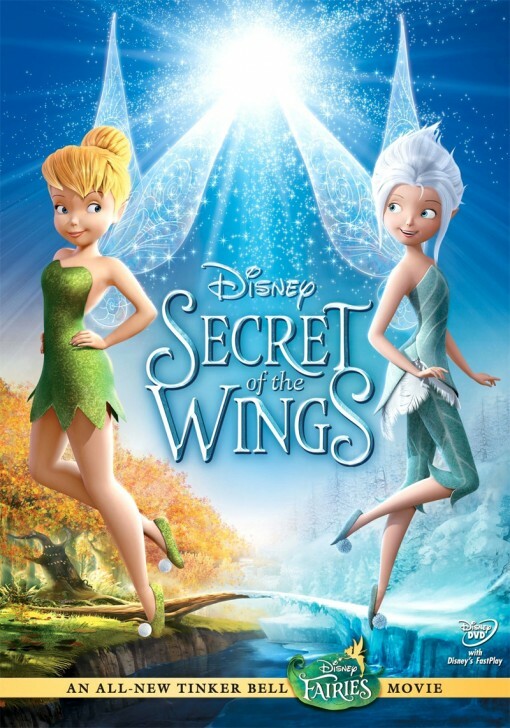 The Buzz: While the fairies do gangbusters with their young target home audience, they haven’t managed to conjure up an Academy nod—although Disney may have pushed a theatrical release in part to raise the number of qualifiers, and thus nominees, like they tried with Great Fairy Rescue in 2010. Synopsis: Taken from the ancient Indian epic Mahabharata, the film explores the early life of legendary warrior Arjun, his training, the family rivalries for the crown that drive him into exile with his brother and his eventual triumph. 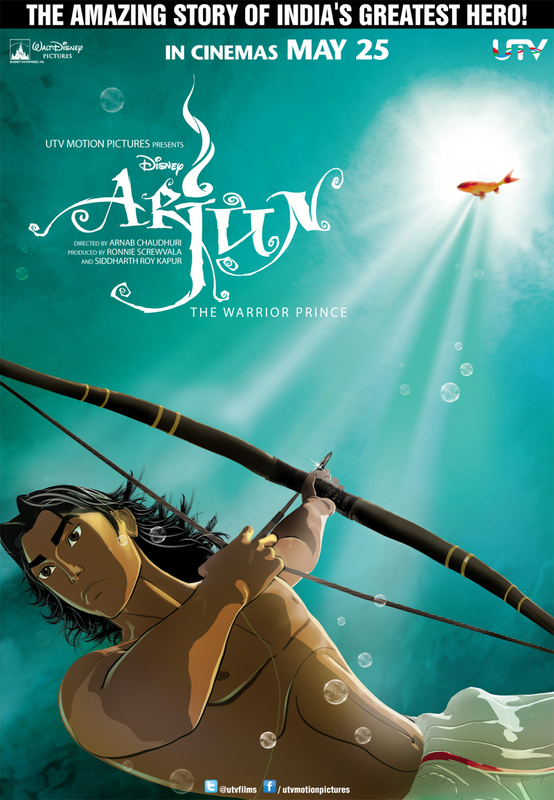 The Buzz: Indian critics widely acknowledged Arjun, with its intriguing CG/toon-shaded animation style, was a big leap forward for the country’s toon industry and it’s been snapped up by festivals—but with such strong competition it might not make much of an impact Stateside. Synopsis: In the near future, the newly formed Godom Empire is threatening to take over the world by using advanced technology offered to them by Leika Chan, the mysterious female president of a trading company. The film’s hero, Sho Shishimaru, is the one man who has the “mystical technology” that can stop the Godom Empire. After being hunted down by the Empire, Sho is saved by mysterious Indians monks, who tell him about a prophecy about the rebirth of Buddha. 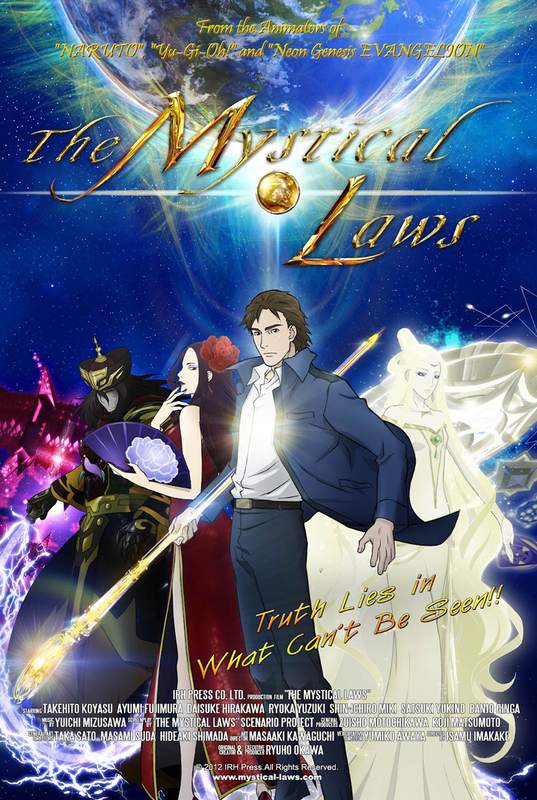 Based on the book by Ryuho Okawa, the founder of the controversial religious organization Happy Science (Kōfuku no Kagaku). 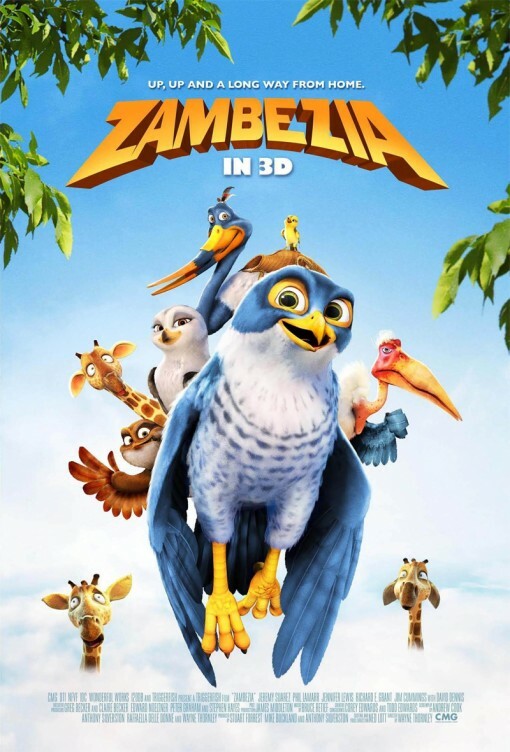 Synopsis: On the edge of a majestic waterfall, in the heart of Africa, lies the amazing bird city of Zambezia, led by wise and battle-tested Sekhuru (Leonard Nimoy). Our young falcon hero Kai (Jeremy Suarez) leaves his remote outpost against his Father’s (Samuel L. Jackson) wishes to join the prestigious Hurricane defense flyers fiercely trained by Ajax (Jeff Goldblum) to patrol the skies keeping Zambezia safe. Kai’s father goes after him but is captured as the scheming iguana lizard Budzo (Jim Cummings) conspires to attack the sanctuary. Kai and soulmate Zoe (Abigail Breslin) will need to gather all their flying skills along with a big dose of diplomacy to save the city from Budzo’s deadly plot.